We are presenting a wide range of Geo Textile Bag. This bag is manufactured using optimum quality basic material latest technology. The offered range is stringently tested on several parameters to ensure unmatched quality and durability. We offer the best quality of Textile Bag to our client. 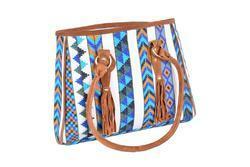 Handicraft good looking bag, It comes with a stylish belt to carry over the shoulder without any hassle. We make them according to the customer need and satisfication. other hospitiality textile like pillow , curtains, towels are manufactured. Sri Bramha Sakthi poly pack produces and supplies extruded plastic packaging products across several industries and markets for a variety of end-uses and applications. Our customers include leaders in industries like textiles , print media, hotels, bakers, sweetshops, provision stores, commodities, pharmaceutical, chemicals, retail, infrastructure and many others. We are specialised in all type plastic packing material for textile/Garment Industry. We are looking inquiry from South india only. We are a leading name in manufacturing and supplying best quality Textile Bags. With the help of our experienced professionals, we are able to manufacture superior quality Textile Bag. 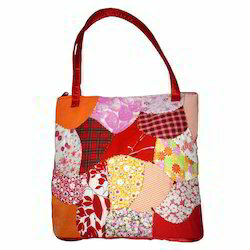 These Textile Bag are highly demanded in the market due to high quality and durability. These products are available at competitive rates. We are dealing in Geo Textile Bag.